These are the words from the past – and this is the first step to bring this blog alive again! 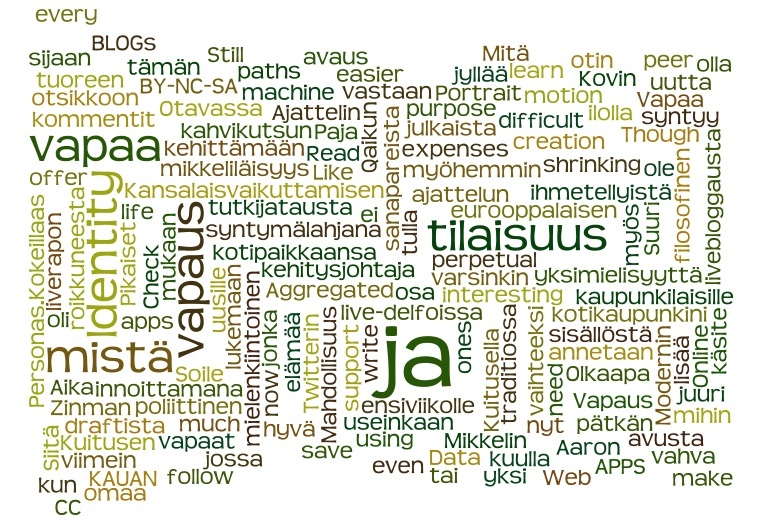 Make your own Wordle – screencapture it or share it on-line! Your Wordle graphic intrigued me and I was hopeful to find an actual “blog” post by you talking about the motivation behind it…specifically, what had you in mind when beginning it, why those words? “How” did you create it? Did you have help?